A former partner in a property letting department of a firm of chartered surveyors who was interdicted from soliciting business from any company clients with which he had dealings after he set up a rival agency has successfully appealed against a decision that he was in breach of the court’s order. The Inner House of the Court of Session ruled that the pursuers had failed to prove that the defender had had previous dealings with the client in question and therefore the sheriff was not entitled to find the defender in breach of interdict. Lord Brodie, Lord Drummond Young and Lady Clark of Calton heard that the pursuers, chartered surveyors J & E Shepherd, operated as part of their business a property letting department which was headed up by the defender, Paul Letley, who was a fixed-profit-sharing partner in the firm from 1998 until 1 June 2011. However, the defender also had other business interests, including Pavillion Properties, a property letting and management agency which he founded, and he had contracted with the pursuers to provide property management services to him and the other business entities in which he had an interest. In April and May 2011 the pursuers proposed to transfer the operation of their residential property letting department to a third party, Direct Lettings, and on 10 June 2011, an interim interdict was granted against the defender for the period of one year from 1 June 2011 from “canvassing or soliciting the custom of any person, firm or company with which he had dealings during the period of partnership of the firm”. The clients with whom the defender had had dealings during his partnership with the pursuers included First London & Scottish Real Estate L.L.P., Caledonian Investments No. 1 L.L.P., RNP Properties, Letley & Braidwood, Letley & Williamson, Letley & Cheverenko, Letley Beaton & Williamson, Letley & Huyton, Springfield Group, Greenwich Residential and Mrs. J.P. Letley and Dudhope Properties Ltd. But the pursuers raised proceedings for breach of interdict by way of summary application in January 2013, and following a proof in January 2014 the sheriff found the defender to be in breach of the interim interdict to the extent that he solicited the custom of a Dr. Sally Keenan, a client of the pursuers for the purposes of the court order, by email dated 26 June 2011. The finding was upheld by the Sheriff Principal by interlocutor dated 18 July 2016, but the defender appealed against the decision. On behalf of the appellant, Michael Howlin QC submitted that in making his findings in fact, the sheriff failed to have regard to the precise terms of the interdict, which operated by reference to persons with whom the appellant had had “dealings” and not by reference to “clients”. The contention for the defender and appellant was that the interim interdict prohibited the defender from “canvassing or soliciting the custom of any person, firm or company with which he had dealings during the period of partnership”. Thus, in order to establish breach of the order, it was necessary for the pursuers to prove, to the satisfaction of the sheriff, that the defender had canvassed or solicited a person, firm or company and that that person, firm or company was a person, firm or company with which the defender had had dealings. That had not been done, as appeared from the sheriff’s findings and facts; there was no finding that Dr Keenan was a person with whom the defender had had dealings. Accordingly, it was argued that the sheriff had not been entitled to find the defender in breach of interdict. Michael Upton, on behalf of the pursuers, accepted that it was for the pursuers to establish that Dr Keenan was someone with whom the defender had had dealings but he did not accept that the absence of any express finding in fact to that effect was determinative. It was submitted proceedings to determine whether there had been a breach of interdict were civil in nature and conducted by reference to pleadings, meaning the sheriff did not require to make findings where a fact had been admitted on record. 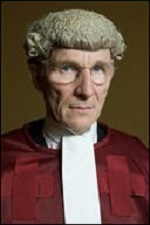 In the present case the sheriff had not required to apply himself as to whether the defender had had dealings with Dr Keenan, that had effectively been admitted and thus the joint position of parties was that Dr Keenan was among the persons whom the defender was prohibited from soliciting. However, the appeal judges rejected the pursuers’ position and dismissed the summary application. Delivering the opinion of the court Lord Brodie said: “In a summary application the sheriff’s decision is effectively final on the facts and in order to discover what facts he has accepted as having been established one looks to what he states as his findings. It follows that if the sheriff’s decision is to withstand scrutiny there must be sufficient in his findings in fact to justify that decision. He added: “It is to be borne in mind that these proceedings are quasi-criminal in nature…In the present case, if the defender was to be found in breach of interdict it was necessary to establish that Dr Keenan was someone with whom the defender had ‘had dealings. Otherwise, the interim interdict did not prevent him soliciting her custom.